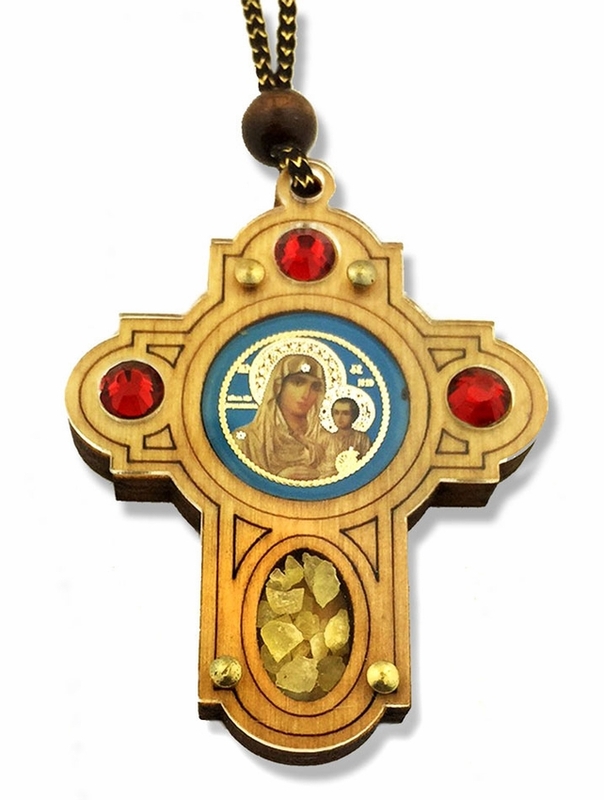 Car Room Wooden Cross Decoration on Rope with Virgin of Jerusalem Icon. Cross has a small compartment covered with special glass for crystals and incense. Size of the cross: 2 3/8" x 2", total length rope with cross 7 1/4"